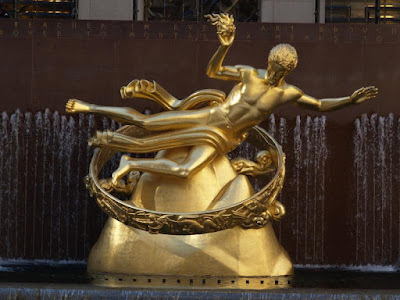 Rockefeller Center is located between Fifth and Sixth Avenue and 48th and 51st Street and is one of my favorite places to visit when I am in NYC. The plaza is filled with shops, restaurants and tons of fun things. 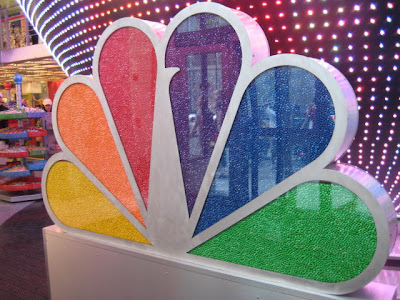 You can see a taping of The Today Show or SNL, visit the observation deck, twirl on the dance floor at the Rainbow Room and in the winter you can even ice skate. Some of the buildings include, Radio City Music Hall, GE building (30 Rock), Time-Life building, 10 Rock and the Simon & Schuster. 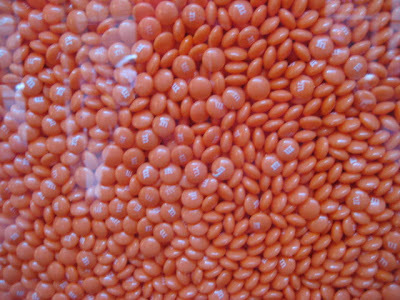 Check out the M&M, NBC logo. 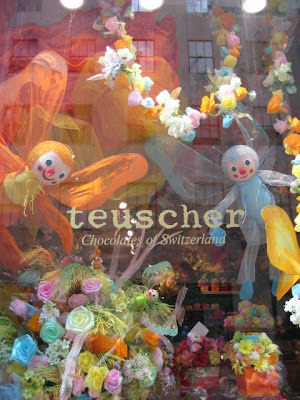 Eddie's favorite chocolate shop is teuscher. 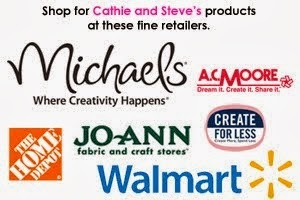 They have the most delicious chocolates and best packaging for candy. 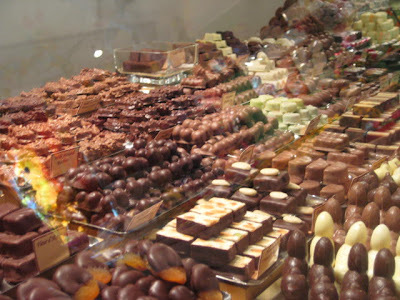 This is a must stop of us even though 6 chocolates will set you back $16. 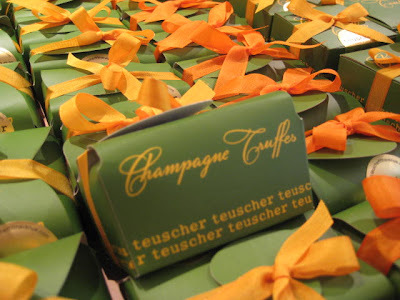 We got the Champagne Truffles - They were amazing. 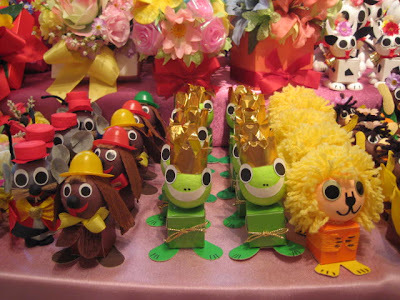 Check out the wacky candy boxes - so very 60's. 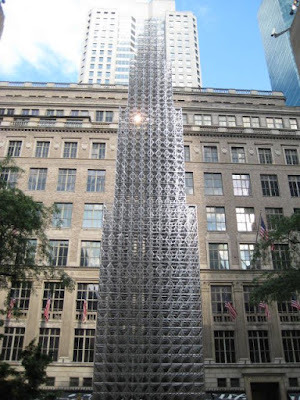 This sculpture was absolutely amazing. 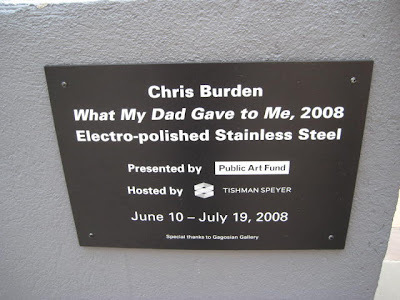 You can read more about Chirs Burden by checking out this NY Times article on him.